More than ever, discernment is needed in these last days. How can you distinguish the true gospel from the false? 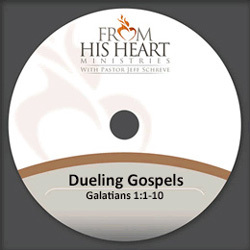 Discover the truth that will help you keep from entertaining Dueling Gospels. It’s from Pastor Jeff Schreve’s comprehensive study of the book of Galatians entitled Do You Want to be Free.